In pencil on reverse, "Old Sherman house, 1136 Greenleaf. Here were held the first meetings of council and Con[gregational] Church." 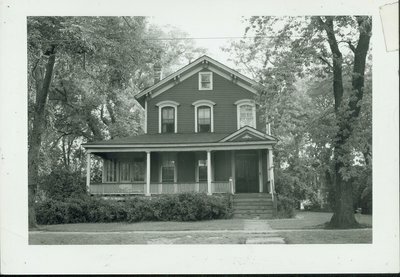 Stamped on the reverse, "Photography by Rebecca Fitch, 1033 Elmwood Ave., Wilmette 1647."